Step 2: Update the contact information on your website? If you are willing to wait 60 days before transferring your domain names to a different registrar, then go ahead and update your contact information before you do the transfer. From the same Domain, Edit screen as above, click on the Contacts tab to update your domain name contact information. Before you edit any of your Contact Information, you should be aware that if you edit this information, GoDaddy will lock your domain and not let you transfer it for 60 days! Therefore, if you can still receive emails from your current contact information, you should NOT edit it and instead edit it AFTER you have moved your domain to a new Domain Registrar. If you want to change your contact information and are willing to wait 60 days to transfer your domain, choose the Edit All Contacts button to edit all of your contact information on the same screen. Then click on the All Domains link to return to your list of website domain names. Repeat this process for all of your domain names. Next, update your applications. Applications include web building tools like Joomla and Wordpress. Click on My Account in the top menu. Then click on Hosting and click on the Hosting Launch button. Go Daddy offers two different kinds of hosting control panels. Old accounts have a GoDaddy control panel and newer accounts have a much better and more useful cPanel screen. Either way, click on Applications to bring up a list of your applications. Update them to the latest versions of Joomla or Wordpress. You can also click on Actions, Details to get the name/number of the database associated with each application. Write this number down or copy paste the database names and numbers into a document as you will need them later. Next, update your database information. From your control panel, click on Databases to bring up a list of your databases. If you are like most business owners, you lost the passwords to your databases years ago. You can recover your old password by selecting the database Actions, Details option. You can also change the database password to something you can remember. But if you do this, you will need to go to the File Manager for your account (from the Control Panel), change the permissions to Read/Write and then update the password in the configuration.php file. Once we have updated the domain name information, the applications and the databases, we are ready to backup our websites. The method you use to backup your website(s) will depend on the type of tools you used to create your website(s). There are three common types of small business website creation tools. The most well organized small business websites are built using a free Content Management System (CSM) called Joomla. Unlike a personal blog, a small online business might have hundreds of pages, thousands of images and dozens of addon tools such as web forms, video players, shopping carts and Enewsletter organizers. Joomla does a better job than any other system of organizing and displaying all of this content. If you are using Joomla or Wordpress, nearly all of your content will be stored on an interactive database. You will need to backup or make a copy of both your website static files and your dynamic database. The database files are backed up in the databases screen and the static files are copied from the File Manager screen. A lot can go wrong with this process. If you had the wisdom to use Joomla to build your website, you are in luck. There is a free tool called Akeeba Backup that can quickly make a complete copy of your Joomla files and database and also migrate them to a different web host in a matter of minutes. If you are using any of the other options, you have two choices. You can either follow the backup options provided by your web host. Or you can manually copy the content from your website into a folder on your home computer and then install Joomla on your new web host account. I strongly recommend manually copying your files and images off of your current site and considering this migration your opportunity to switch to the Joomla web building tool. It may take a few more minutes now but it will save you years of headaches down the road. This is simply a matter of going to each page on your current website and copy/pasting the pages and images and links into folders on your home computer. This way if everything else fails, you can use this information to completely rebuild your website using Joomla 3x on your new web host. Another thing to be aware of is that there are two main types of computer server operating systems, Linux and Windows. Linux is much safer than Windows which is why the Canadian web host I recommend uses Linux. If your current host uses Windows, you should make a manual copy of your website and use Joomla 3x to build a new website with your new web host. There is no way to make a Windows hosted website safe from the NSA or other potential hackers. There are also three main kinds of control panels. About one third of all small online businesses use the old GoDaddy control panel. Another third use cPanel. Another third use a Windows based control panel called Plesk. The easiest kind of migration is for those lucky few who have cPanel on their current host and are migrating to cPanel on their new host (Full Host uses cPanel). This involves only changing a couple of minor settings in cPanel. All you have to do is open an account and send them a ticket. Full Host will make the changes for you in a matter of minutes and you are good to go. If you have multiple websites, during the migration process, keep both hosting accounts and only migrate one website at a time. The first website you migrate should be your main website. All other websites will be placed in folders, called Addon websites, inside of the folder for your main website. Your remaining websites should be copied and moved one at a time from your old host to your new host. Each website may take a day or more to move. So if you have ten websites it could be a while. On the other hand, if your websites are all Joomla 2.5 or 3x websites on cPanel, you could be done migrating in under one hour! Domain names take a little longer to transfer which is why that step should be done first. Below is a table of suggested options depending on what control panel you have and what application you used to build your website. Update information, backup files, transfer domain name, set up a hosting account, submit a migration ticket. Update information, backup files using Akeeba Backup, transfer domain name, set up a hosting account, submit a migration ticket. If there are any problems, use the free Akeeba Kickstarter to restore your files. Update information, manually copy all pages, text and images from your current website into a folder on your home computer. Then transfer domain name, set up a hosting account, install Joomla onto your new hosting account and manually rebuild your websites using Joomla. For excellent videos on how to install and use the free Akeeba Backup Core tool with any Joomla website, see this website. Be sure to move Akeeba Backup files and all other backup files to your home computer so you can access them even if your website no longer loads. Then delete the file from your website backend with Akeeba Backups, Manage Backups, Delete. 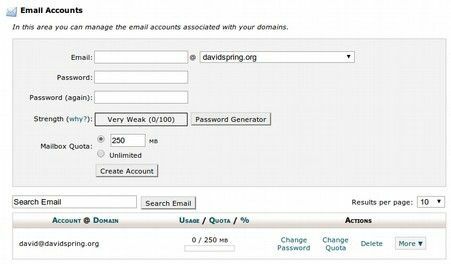 When you set up your web hosting account and/or your domain registrar account, you will need to provide them with an email address. You could give them your personal email address. But it would be more secure to provide them with an encrypted email address associated with your online business. Then click on Get your encrypted email then click on the drop down arrow for the Free Account. Practice sending and receiving emails from Proton Mail to your prior email service to better understand how Proton Mail works. 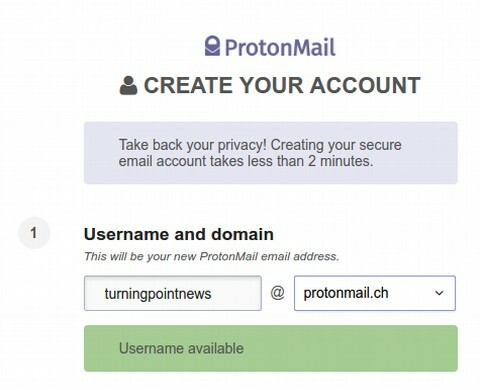 As an added benefit, Proton Mail also by default will track all attempts made to log into your email account. You can read these logs by clicking on Settings, Security. 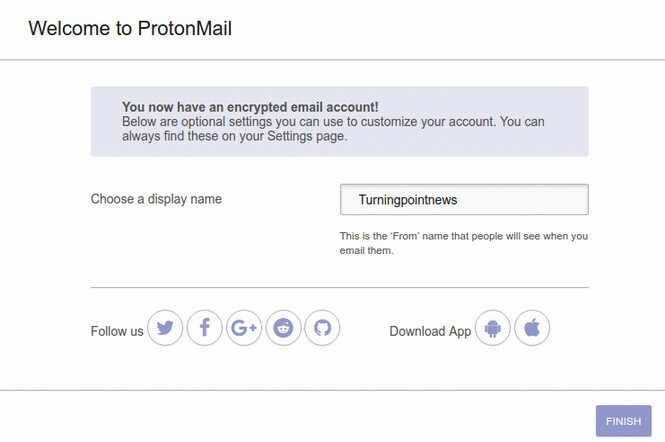 When you have your Proton Mail account, you can use this as the email address to create your Fullhost account and also use it as the email address to set up your Joomla website. Treat your new email account with care. Never open any attachment from anyone that you do not know. Step 7... Open a shared hosting account with a Canadian Web Host. In Section 1.3, we described the benefits of a Canadian Web Host called Full Host. To open an account with them, go to their website, FullHost.com. Hover over the Hosting Products tab and you will see that Fullhost offers three kinds of hosting, Web Hosting, Reseller Hosting and Virtual Servers. Click on Shared Hosting to see that their normal shared hosting is $7 Canadian per month (which is about $6 US dollars per month). They also have an “Enterprise” Shared hosting option for $25 Canadian per month for extremely large websites that get a lot of traffic. For 90% of users, Fullhost’s normal Shared Hosting is more than enough. However, if you have more than three websites, you should consider getting Reseller Hosting which costs $20 Canadian per month. While either option includes free Let’s Encrypt SSL Certificates, the Reseller Hosting account is much more secure. The normal shared account comes with only one Cpanel and one File Manager that is shared by all of your websites. Should a hacker manage to break into one of your websites, they can access your file manager and take down every website that is located in that Cpanel account. By contrast, a reseller account allows you to have up to 15 different Cpanel accounts each with its own File Manager. I have a Reseller account with about 30 websites. But because I have a reseller account, I only have two domain names per Cpanel account. This means that a hacker can only take out two of my websites at a time – not all 30 of them! Having a Reseller account does mean that you will have to learn how to use a screen called Web Host Manager (or WHM) in addition to learning how to use Cpanel and Joomla. But WHM is not difficult to use and takes much less time than trying to rebuild 30 hacked websites. With either the normal Shared Hosting or the Reseller account, click on the Order Now button. This brings up a page to indicate the primary domain name to associate with the account. Either get a new domain name at this point or select “Transfer your domain from another registrar” if you want to transfer the domain you want to use for your primary domain. If you transfer the domain from other host, a screen will pop up where you should enter the EPP Domain Transfer Authorization Code. Then fill out the billing information using the email address you want to associate with this account. Then pay for a few months with a credit card. If you pay for a year, you get a 10% discount. You can also just pay for a few months. Before migrating your websites to them, you should also move your domain names to FullHost. It may take a few days to transfer the domain name. If the website is currently live, you can email the folks at FullHost and they can transfer the contents of the website for you. Alternately, you can build a new Joomla website after the domain name has been transferred. Next we will describe the simple steps for changing your domain name registrar from GoDaddy.com to FullHost. As mentioned above, your domain lock must be turned off and your domain contact information must be current. Go to your current registrar, such as GoDaddy.com, and log into your account. Then go to Domains. For GoDaddy domains, click on the green launch button to open the domain. Click on the Lock/Manage button to unlock each domain. It will take 15 minutes for the change to take effect. Then click on the Contacts tab and edit any contact information so that it is correct and up to date. Some information can only be changed in the GoDaddy account “settings” area. Next, verify that the domain name is not listed as “not paid.” Speak with a customer service person at GoDaddy and verify that your account is current. Enter your domain name and click Transfer. After the transfer request has been submitted, the Administrator Contact listed for your domain name will receive an email asking for confirmation of the request to transfer the domain to FullHost. If you have privacy enabled on your domain name, you may need to turn this off in order to receive the confirmation email. After the request is confirmed, it will take up to 5 days for the domain registration to transfer from your old registrar to your new registrar. Transferring the domain name should not affect the appearance of your web site on your web host. The benefit of having your web hosting and domain name at the same company is that it is easier to control both through your Cpanel backend. A domain name, such as myinteractivewebsite.com, is what you use to advertise and promote your online business. While it is possible to have a “free website” without having your own domain name, it is generally not a good idea for anything more than a personal blog. The reason is that your domain name is your online presence. It gives your business credibility if you have your own domain name. As your online business grows, you want links to your website to remain stable. Therefore the time to secure your domain name is when you first start your online business. You can and should secure your domain name before you officially organize your online business. Since each domain name is unique, your first choice in a domain name may have already been taken. Therefore the availability of a domain name may determine what you call your online book or business. Having your own domain name also means that should you move your website to a new web host, your domain name and customers and visitors to your website can move with you. To secure your own domain name, simply register it with a domain name registrar. The world's biggest registrar is GoDaddy.com. In a previous article, we explained several serious drawbacks of registering your domain name with GoDaddy – including the fact that they have “taken down” and destroyed many online businesses without any court hearing or court order. We then explained the process for registering your domain with a more secure registrar called FullHost.com. The cost for your domain name will be about $15 per year. Before registering your domain name, there are a three things you should think about. First, you should research the domain names of businesses similar to the one you would like to start. There is a drawback in getting a domain that is too similar to your competitors. But domain names of other successful online businesses can give you ideas of what you can call your business. Second, consider the extension you want to use at the end of your name. Most businesses tend to end with dot com. However, a non-profit social organization should choose dot org. There are dozens of new extensions which you might want to consider such as dot info. Next you want to see which of your domain name options are actually available. Most domain name registrars have a “search” box which tells you if a domain name is available. One question your domain name registrar is likely to ask you is the names of your web host primary and secondary domain “name servers.” The domain name servers, also called DNS1 and DNS2 are the address where your domain name is linked to or pointed to the data in the folder or directory on your web hosts servers. This is why you should secure your web hosting account before getting your domain name. Your web host will give you the DNS names to provide to the domain registrar. If you do not have a web host yet, you can still obtain your domain name as your domain registrar will simply “park” your domain name on their servers until you are ready to point it at your web host. When you type the name of a website into a browser window, then click GO, you are magically taken to the website associated with that domain name. But the internet does not actually use website names. Instead, it uses a series of numbers which are associated with the location of the server which your website is hosted on. There may be as many as a thousand websites on a single shared server. Domain Name Server is the name/number/address of the server(s) used by your web host. The IP address or Internet Protocol address of the server is a number such as 123.4.5.6. However the DNS numbers of your web host are often listed as simply ns1.mywebhost.com and ns2.mywebhost.com. These are the names that you give to your domain name registrar. DNS translates your domain name to the actual numeric IP address used by routers that control traffic on the Internet. 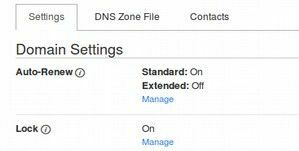 If one domain name server is overloaded, having a secondary DNS can help insure that folks are still able to reach your website. This is why you web host should provide you with two DNS addresses which you then provide to your domain registrar. If you ever transfer your website to a new web host, you will need to contact you domain name registrar and give them the two new DNS numbers of your new web host. For safety reasons, it is a good idea to have an overlap period when you have hosting at both your old and your new web host during the transfer process. Whichever domain name you install first with your new web host, it will be placed in the main or top level folder of your website. It is also called your Primary Domain. All other domain names, called Add On Domains, will be added as sub folders inside of the main domain folder. So you should choose your most stable domain name (one you do not plan on selling or getting rid of) as your primary domain. Once you have done this, use the Automatic Installation process to install Joomla into this main folder and set up your Primary domain website. If you have an Akeeba Backup of this website, you can re-install this website following the instructions on the Akeeba back up video – or you can build a new Joomla website from scratch or by copy/pasting content from your old Joomla website. Once your first website has been transferred over, you can transfer over any Add On domains using a nearly identical process. Anytime you have a new domain name or are transferring a domain name from another web host, you can and should get one or more email addresses associated with your new domain name. To set this up, in your Cpanel and scroll down to the mail section. To forward email from this email address to your normal email address, scroll down this same screen after the email address has been created. Click on More to show more options. Then click Access Web Mail. Then log in to your email account with your email password. Click on Forwarding Options. Then click on Add Forwarder. Add the email address you want your email forwarded to. Then click on Add Forwarder. After your Joomla website is created, we will add this website related email address to the administrator configuration section. Congratulations! You now have both your domain name and your web hosting on servers no longer under the direct control of the NSA! Sign up for our email list and I'll keep you posted for more updates! If you have any questions, feel free to post them on our forum at collegeintheclouds.org. Now that we have our domain name and web hosting with Fullhost, the next step is to install Joomla and a few important additional free tools called Extensions. In the next chapter, we will show you how to install Joomla with the FullHost one click installer and describe several of the best free extensions to add to Joomla.